chief operating officer Thierry Breton would become deputy CEOAfter an emergency board meeting prompted by Ghosn’s arrest Monday on charges of under-reporting his pay at Nissan, Renault said chief operating officer Thierry Breton would become deputy CEO, with the “same powers” as Ghosn. Saying it was unable to comment on the “evidence seemingly gathered” against Ghosn, the carmaker asked Nissan to share all information stemming from its internal inquiry against him. 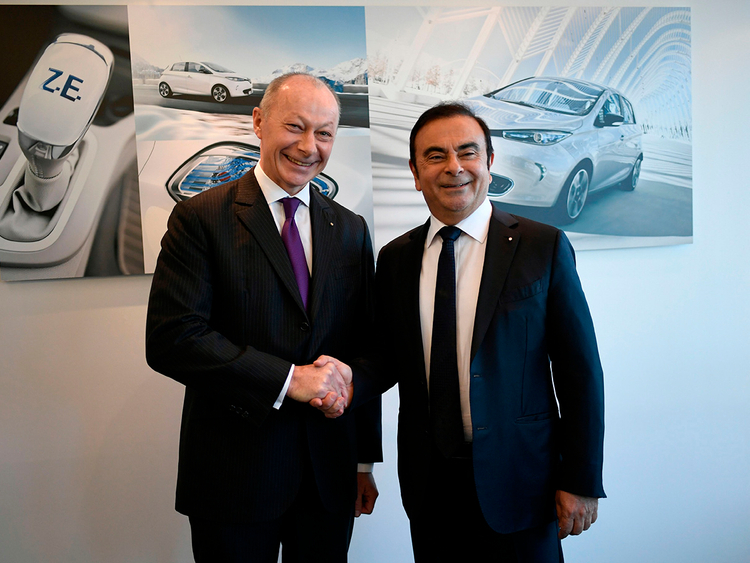 French and Japanese officials are scrambling to reassure investors on the fate of the Nissan-Renault-Mitsubishi alliance as fresh claims emerged following Ghosn’s arrest. Nissan has already signalled it will move to remove Ghosn as chairman, after alleging that an inquiry prompted by a whistleblower found “significant acts of misconduct,” including millions of dollars in undeclared pay. Ghosn is considered one of the world’s most powerful auto executives, the architect of a three-way alliance which combined sells more cars worldwide than any other automaker. But investors have been unloading shares in the three carmakers since the charges emerged against Ghosn, the alliance’s linchpin since 1999. The companies have deeply integrated their operations to produce huge economies of scale, and Renault owns 43 per cent of Nissan while Nissan has a 15 per cent stake in its French partner. Nissan has become the alliance’s key player however, posting sales of 12 trillion yen (Dh390 billion) last year compared with Renault’s 59 billion euros ($67 billion). Nissan shares dropped 5.5 per cent in Tokyo on Tuesday and Mitsubishi was off 6.8 per cent, while Renault lost 1.2 per cent in Paris after tumbling 8.4 per cent on Monday. As Ghosn’s once towering legacy unravelled, few voices emerged in support of someone long considered the most dominant force in the auto industry. Despite his success, he has long attracted criticism for pay packages — an estimated 13 million euros in total last year — which far exceed those normally given to French or Japanese CEOs.